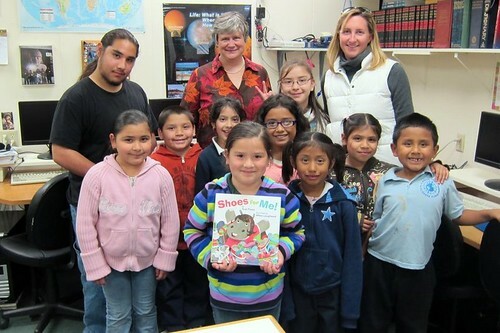 Last week, childrens’ book author Sue Fliess came by Santa Maria Urban Ministry (SMUM) in San Jose to drop off a donation. 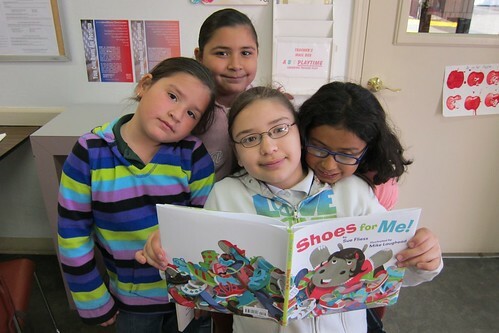 She stayed to read her new book Shoes for Me to the Studio after-school program kids. She described to the children how a book got made. The kids were fascinated while Sue Fliess was there and took turns reading the new book after she left. 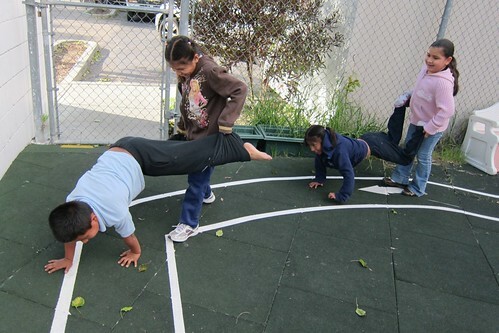 Then, they went outside to play.